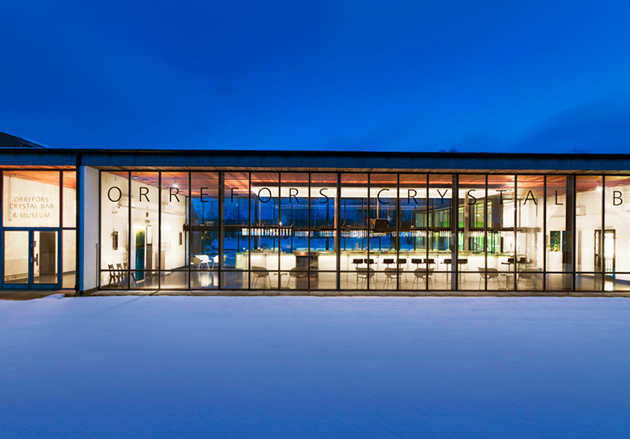 Orrefors Crystal Bar was commissioned by the Orrefors Kosta Boda owner. The bar is placed in the Orrefors Exhibition Hall from 1957 right opposite to the Orrefors glassworks. Our idea was to give the bar a visual identity that blended well with the existing Orrefors brand. You could say that we made the images of the Orrefors bar stemware to the “logo”. Drink photographs by Roland Persson.